Summary: Dr. Joseph Murphy is an expert on the topic of the subconscious mind. In this podcast episode, I explore what several valuable ideas I took away from reading his book, Believe in Yourself. Believe in Yourself is a shorter volume containing great wisdom. Dr. Joseph Murphy, one of the foremost experts on the New Thought movement and accessing your subconscious mind succinctly explains how to achieve spiritual health and external success. 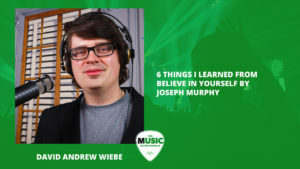 In this episode of The New Music Industry Podcast, I look at one of Murphy’s great works. 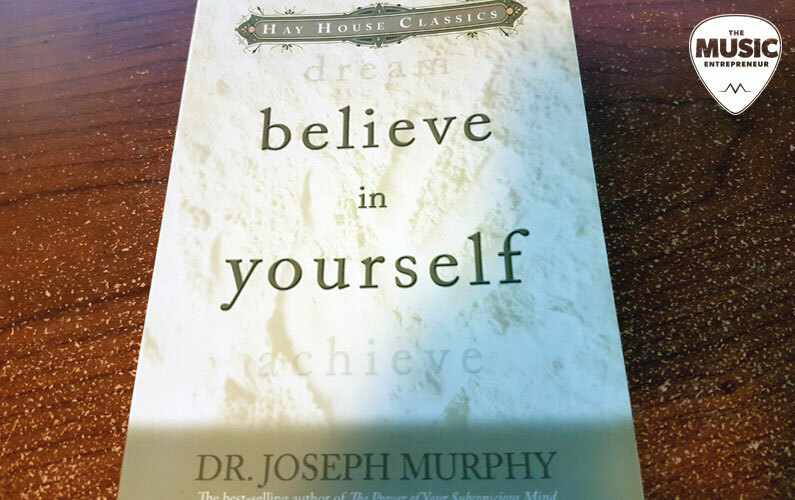 Compared to The Power of Your Subconscious Mind, Believe in Yourself is one of Dr. Joseph Murphy’s shorter works. But every sentence contains valuable insights into spirituality and personal success. I have read this book from start to finish twice, and each time I’ve gotten something new from it. There is no way for me to summarize the entirety of the wisdom contained within, but I did want to share with you what I learned from this book. I think Murphy is essentially saying the same thing here. He’s pointing out that feelings and emotions have power, and that we can learn to channel them into achieving and obtaining our desires. If you’re setting goals that don’t motivate you, you’ll find it challenging to add feeling to them. But if you become obsessed with bringing about a result, you’ll naturally take actions and move in the direction of your wishes and longings. You must become aware of what your true desires are. And the only way to make that happen is to build rapport with your subconscious mind (also see point #4 on this list). Life in the digital age is frantic. Few people take time to think, reflect, and ask questions. But you must make time for it, because most people don’t. They aren’t thinking about the desired result, the end goal, what their hearts yearn for. Many have forgotten the power of imagination. Disney came to be because it was first conceived in the mind of Walt Disney. There are endless examples of technological breakthroughs, attractions, movies, books, and other works that would not exist if they weren’t first conceived in someone’s mind. If you want to control the conceptive realm, start imagining once again. If you don’t know where to start, daydream. Remember what it was like to be a child sitting in a classroom thinking about what else you wanted to be doing, or what you were going to do when you got home. Maveen Kaura and I spent an entire episode of Using Your Power discussing this concept. As of this writing, the episode has yet to be released, but it will be out soon. “But I don’t believe in God,” you might say. The surprising conclusion I came to was that whether you’re an agnostic, atheist or Christian, you believe in something. And that something is your god, whether it’s belief in self, belief in aliens, or belief in an autonomous divine being. What I’m saying is that this statement is impossible to refute. Basically, your beliefs affect your attitude. So, if you want to change your attitude, you need to examine what you believe in, regardless of what it is. What this means is that if you are well-acquainted with your subconscious mind and its inherent power, you are a genius. Knowing how to unlock its power, and accessing God (which could be equated with building a rapport with your subconscious mind) leads to fresh inspiration, ideas, and insights. Murphy furnishes us with practical steps on how to tap into this capacity throughout the book. See points #1, 2, and 5 on this list for how this works. Again, what are you constantly thinking about? What are you regularly visualizing? What are you picturing in your mind’s eye? How are you using your imagination? Whether you’re aware of it or not, there are thoughts and images you are always meditating on. And in this context, I mean things you’re repeating to yourself, not the act of meditating (which is beneficial). And whether you’re aware of it or not, your life is slowly but surely becoming what you’re repeating in your mind. Nightingale’s most significant discovery about life had to do with this statement. So, what images are you impressing on your subconscious mind? Your life will move in the direction of your thoughts. You are where you are because of actions taken and not taken. This is a difficult idea for the mind to accept. Throughout our lives, most of us haven’t been taught to take responsibility for everything that’s happened. Instead, we play the blame game. Taking full responsibility for who and where you are is empowering. Maybe we aren’t encouraged to do so because of this fact. If we all “woke up” and freed ourselves from “The Matrix”, we’d be dangerous – maybe not to people, but to the system of control we’re under. You are a master of your conditions. But if you haven’t taken ownership over yourself, you haven’t mastered mastering your conditions yet. The reason taking ownership is powerful is because it means you can change your circumstances. The moment you realize you can change your life situation is the moment you bestow yourself with the keys to life. I hope you enjoyed my insights into another Joseph Murphy book. The ideas I’ve shared with you here aren’t necessarily what the author intended, but through my own filters, these are the conclusions I’ve come to. Ultimately, each of us are possessors of tremendous power. But many of us have also forgotten how to harness it. When we learn how to access our subconscious mind, it links us with God, the wellspring of all knowledge and wisdom. Thanks for reading! If you feel inclined to check out Believe in Yourself, you can go to Amazon US, where you can learn more about the book, and see what others have had to say about it. Should you choose to buy the book through the provided link, I will earn a commission at no additional cost to you.